Clearly I had been watching too much Survivor and other reality TV when I concocted this year's "Nobology 2014" event. Nobology is our annual meeting in Hawaii for our senior mainland group where we do strategic planning, product roadmapping, team building and training activities. Rather than providing trip details, photos and directions to some lovely place where they would be staying, this year I posted a note on our internal forum that they were going to have to solve some Team Tasks to figure it all out. To get them started with their main task, each person needed to call a specific client of theirs by telephone and ask him or her for their Secret Clue. And just for fun we "accidentally" scrambled the names of the clients. I chose some of our fun clients that I thought would get a kick out of playing along with us. They were instructed to await a call from the Nobscot employee and then read them their clue verbally over the phone. After they read the clue, they were to email the clue image along with any other images provided. They were all great sports about participating and I'm very grateful for their help. Thank you Vinke, Rhyar, Airs, Riggen and Lelimi! I'm absolutely sure that Nobscot has the best clients on the planet. 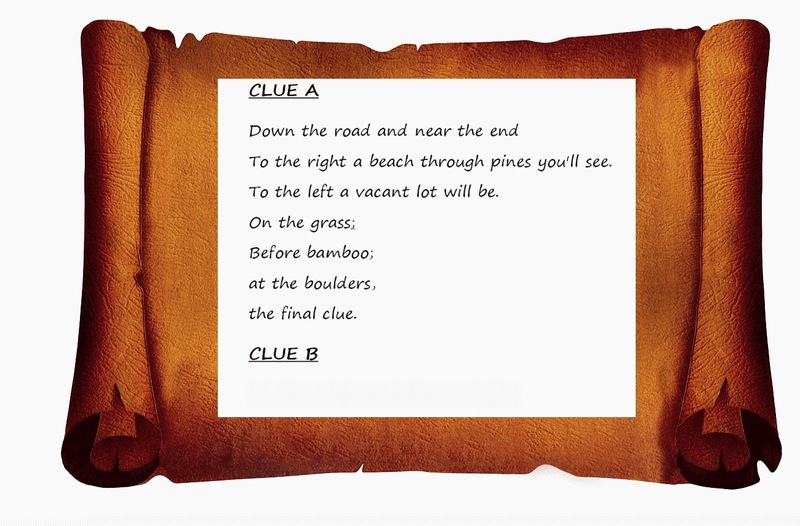 The clues would lead our team on their journey but since this was designed as a team building activity, none of the clues on their own were very helpful. They only became meaningful once they were all put together. Much like any successful business, united they stand, divided they fall. Prior to this activity, they had a Team Task to secure their flights. They were given an overall team budget that they needed to stay within and they had hints about it being important to come in at roughly the same time and early in the day so they could find where they were going. Even though they were coming from all across North America, they managed to coordinate their times pretty well. Little did I know that at the Toronto airport, Laura would be required to provide an address of where she was staying. Luckily she knew my address and used that. A similar situation occurred with the immigration forms that need to be filled out when flying into Hawaii. Luckily the team was resourceful! Kerrie's seat mates, a couple that was going to vacation in Princeville was confused when they asked her where she was staying and she said, "I don't know!" They were concerned that she didn't have any reservations. 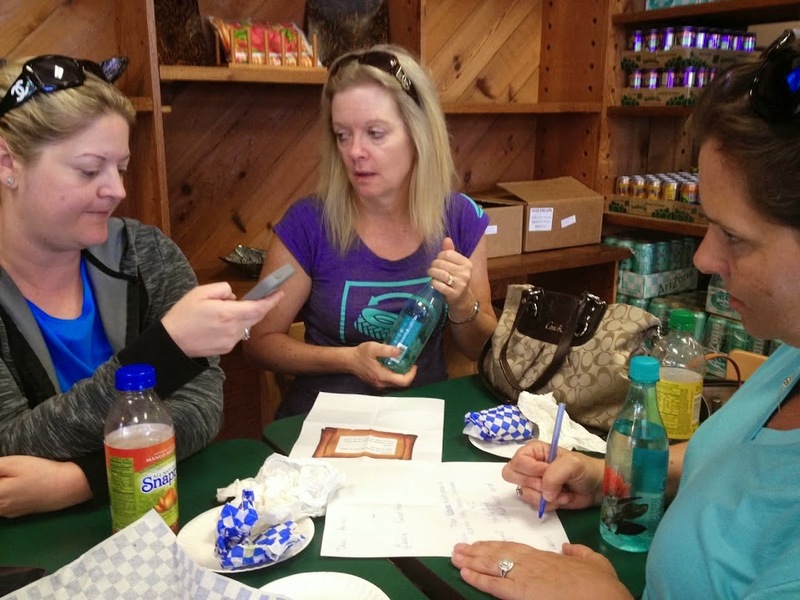 Upon arriving in Lihue, the team made plans to meet up and review the clues and start their adventure. Would they be led to a nice hotel? Some lovely condos? A house at the beach? Or would they be sleeping outside and learning how to build a shelter and create fire? See Part Two for the rest of the team building Nobscot style story. It has recently come to our attention that our website custom-writing.org has been penalized by Google for "Unnatural Link Building". In an effort to reduce the penalty, and prevent any penalties from occurring to your website, we are requesting that you remove all links pointed to custom-writing.org as soon as possible. We suggest that you do so as soon as possible. We understand that this may require additional effort on your part, but we'll be submitting our link removal report to Google shortly. Google will reduce the rankings, and potentially take further action on domains that "Link to web spammers or bad neighborhoods on the web". By removing the links to our site you'll prevent any and all penalties that could incur to your domain after Google reviews our backlinks.